There was a Juloos at Bandra west which commenced from Guru Nanak Park and terminated at Bandra Khoja Jame Masjid. 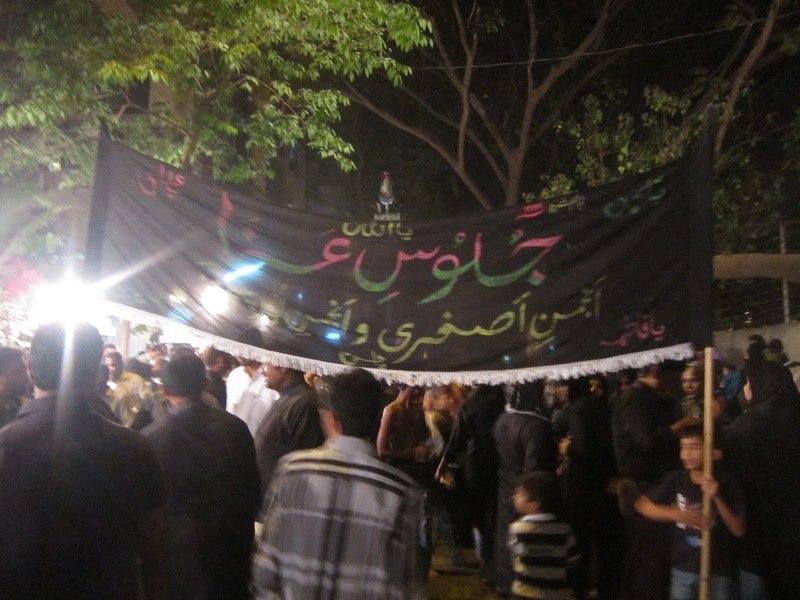 The Juloos was organised by Anjuman-e-Asgari and Anjuman Az-Zahra jointly. This juloos came into existence for more than a decade. 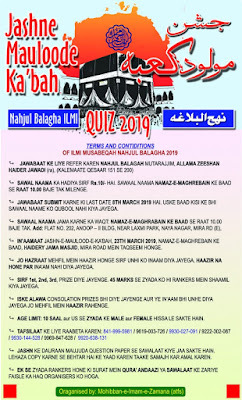 Azadar from far off come to attend this Juloos. They come from Mumbra, Nalla Sopara, Vasai, Kalyan etc. 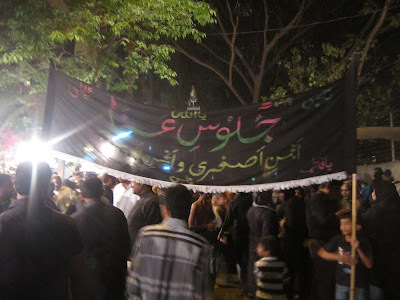 More than half a dozens Anjumans do nauha and Matam, remembering the martyrs of Karbala. 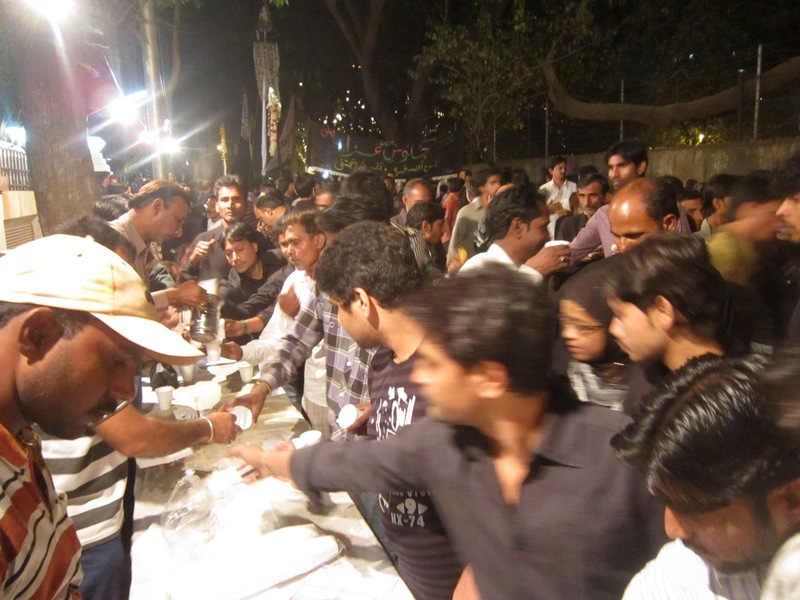 On the route of this juloos at many places snacks, sherbat, tea, coffee is served as the azadaars reach late in the night to their homes. Hot beverages are served at the Rizvi Bunglow near Almeida Park. Everywhere in Bandra we see the mourners in black clothes.